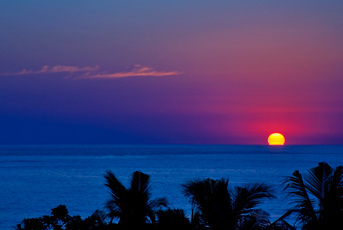 Riviera Nayarit: Discounts and stunning beaches? Who could ask for more? Hidden in the enclave of Punta Mita at the Riviera Nayarit, the St. Regis Punta Mita Resort combines classic sophistication and modern luxury. For a limited time, the resort is offering discounts! third night free, $50 credit on food and beverage per day and an upgrade, when available. Better Tomorrow: Get the next day for 50 percent off for every night that you pay the regular rate. So, go ahead and take a couple extra days to indulge. Welcome to the Family: Make this summer vacation a family affair! When you book this package, you receive 25 percent off a connecting suite, access to Childrens Club and butler service. And that’s not the only discount for the kiddies. The Resort also offers the “Children’s Art for a Good Cause” package, providing two children’s art classes followed by an auction featuring their work with all proceeds donated to the Costa Verde International School. The package is available July 22-26 with a minimum three night stay. Rates begin at $440 per night in a Deluxe Room Garden View and include a $100 resort credit per family. Use the rate code SRALA2 when making reservations. The St. Regis boasts activities the whole family will enjoy as well! From December to March, Humpback whales migrate to the bay. While guests can catch a glimpse of the majestic creatures from the resort, group and private tours are available, led by professional guides for those sight seers itching to get a closer look. For more information, visit the hotel’s web site.